Read-out Instrumentation Signpost: Low air velocity! 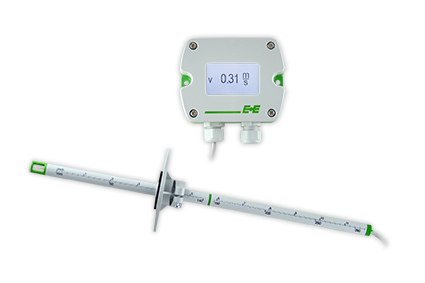 The EE660 from E+E Elektronik measures very low air velocity accurately. It is ideal for laminar flow monitoring and clean room applications. The transmitter is now also available with an RS485 interface. It is suitable for accurate measurement of very low air velocity down to 0.15 m/s (30 ft/min). It features an E+E hot film sensing element, which offers excellent long-term stability and short response time. Furthermore, the sensing element is highly resistant to contamination and has a low angular dependency. • E+E Elektronik products are marketed in Ireland by Instrument Technology.